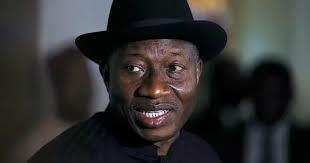 Former President Goodluck Jonathan on Friday commended leaders and members of the Peoples Democratic Party (PDP) for their support to ongoing efforts toward resolving the differences in the party. In a statement Mr Ikechukwu Eze, his Media Adviser, in Abuja, Jonathan urged the party faithful to ignore rumours and false information being peddled as the outcome of ongoing dialogue in the party. He promised to address the public on the outcome of the consultations at the appropriate time. He said that there had been media speculations since the meeting between him and the PDP Governors on Tuesday and stated that the speculations were being presented in contradictory perspectives. “I wish to urge the public and well-meaning PDP members to ignore such misleading conjectures as they are obviously the handiwork of those who do not wish the party well. “They are therefore not happy with the current reconciliation efforts. the meeting, clearly showed that there was no ambiguity in the message. “He said that an agreement was reached on seeking a political solution in resolving the differences.